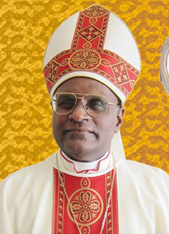 Bishop Bernard was born in Kuala Lumpur on July 6, 1953. After completing his education, he entered the seminary in Penang and was ordained a priest on July 21, 1989. He has served in almost all the states in the Penang Diocese except for Kelantan. After his ordination, he was posted to St Mary’s Church Tapah as assistant parish priest. Three years later, he was appointed parish priest of the same church. In 1995, he became the parish priest of the Church of the Nativity of the Blessed Virgin Mary in Butterworth. 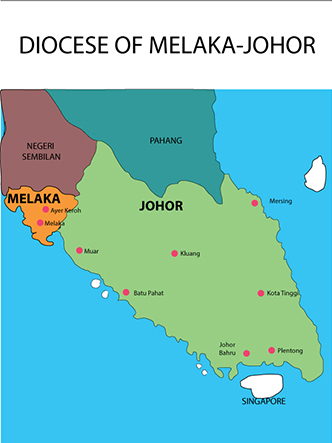 In 1998, he became the administrator of the Church of the Immaculate Conception in Penang and the Church of the Sacred Heart of Jesus in Kulim, Kedah. One year later, he was the parish priest of Church of the Sacred Heart of Jesus in Kulim until 2005. Then he served for five years as the Parish priest of Our Lady of Lourdes in Silibin, Ipoh. From 2010 until now he has been the parish priest of the Cathedral of the Holy Spirit, Penang. Besides his tenure as a parish pastor, Bishop-elect Bernard has also served as the Vocation Director in 1996 and in 2006 as the Director of the Diocesan Pastoral Commission. He was appointed Vicar-general of the Diocese under two bishops. His first was under Bishop Antony Selvanayagam from 1997-2000 and later under Bishop Sebastian Francis from 2012 until present. In July 2014, Msgr Bernard celebrated his 25 sacerdotal anniversary at the Holy Spirit Cathedral.